Ang Thong National Marine Park is well worth a visit even if you just want to spend the day relaxing on one of the soft white sandy beaches. Though there are no actual scheduled boats going to the islands, there are a number of organised packaged day trips which can easily be arranged through various travel agents. The most notable of these would be from Ko Samui. Boats leave from the pier at Na Thon on the western shore of the island at 8:30 am and return at 5:00 pm. A typical day tour usually consists of a two-hour stopover on the beach at Ko Wha Talab where you can either spend your time relaxing on the beach or you could take a leisurely swim in the turquoise waters. It's entirely up to you what you'd like to do. If you're the more adventurous type and have tonnes of energy, you could opt to climb the steep 430-metre trail to the island's peak. Because from there you'll have a panoramic view of a good portion of the islands that make up this archipelago. You'll also be able to see the islands of both Koh Phangan and Koh Samui. You'll have to hurry, though, as you don't want to miss the boat for the rest of the tour, which can take up to an hour each way. You may decide to go part of the way - and then later on - explore the island's cave. What you'll need to do, is to take some decent walking shoes or sandals. They'll come in handy. Ko Wha Talab is known as Sleeping Cow Island largely due to its shape and is also the biggest land mass of the archipelago group. You'll find the national park headquarters nestled behind the beach as well as being the only accommodation on the island. There are no luxury hotels or resorts, only basic two and eight berth bungalows. However, if your preference is for more comfortable accommodation, you might prefer to stay over on Ko Samui. If you'd like to book accommodation here, you'll need to contact the Forestry Department or the Ang Thong National Marine Park in Bangkok. For those of you who love camping, it is possible to stay over in certain designated areas. You can either bring your own tent or you can hire one on the island. There are a few benefits with overnight stays. Most importantly, there would be no immediate rush which would allow you to view the sunset or sunrise from the island's peak at leisure. If you wish to stay overnight because you've fallen in love with this beautiful piece of paradise, the ticket you purchased is valid for any return trip on a later day. Now you can really relax. You can get around the islands from Ko Wha Talab by chartering a motorboat from one of the local fishermen who live in the park. Ask one of them to take you to Ko Sam Sao if diving is your scene. You will find some excellent coral there. Some of the best snorkelling is off Ko Thai Plao. However, if you don't wish to go it alone and would like everything done for you, I have partnered with an international tour company offering you some wonderful tour options. Below you'll find several tours in which to choose to make your day that much more stress-free. 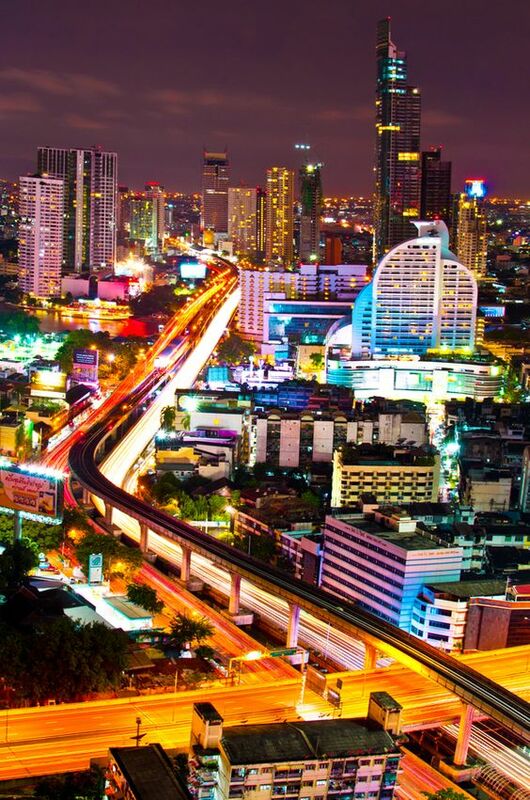 And should you decide to book a tour from this page, it won't cost you a cent more as the tour company will take care of any commissions coming my way and this would also help me maintain this blog so that I can continue giving you more Thailand travel information. With that, I wish you all a safe and pleasant journey. 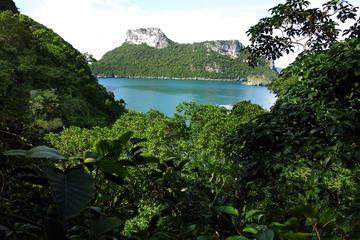 While Ang Thong is Thailand’s second National Park, it is rated by many as one of the top National Parks. There are forty-plus islands here just waiting to be explored. This picture-perfect setting is where you can truly enjoy crystal clear waters, remote beaches and or dive that much deeper into the caves and crevices by sea kayak. When you first fly into Koh Samui you'll probably have noticed the clusters of islands in the area. One of these areas is called Ang Thong National Marine Park. And one of the best ways to explore this area is by "Sea Canoe" giving you a far more rewarding experience than looking from afar. 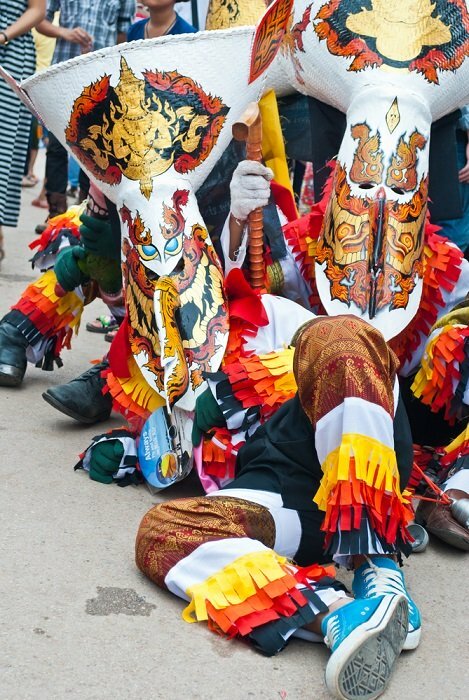 The local guides we provide on the excursion will be on hand to offer you a wealth of information. The Sunset Boutique Cruise is specially designed for those of you who prefer to avoid the crowds, who enjoy safe and tranquil sailing and who value personal service. On this cruise, you'll get to enjoy guided snorkelling at Koh Wao and optional sea kayaking at the most secluded island at Koh Tai Plao. You'll also visit the amazing Emerald Lake viewpoint at the end of the day. See more details in the link above. Ko Tarutao Marine Park is a 51 island archipelago located in the Andaman Sea near Langkawi Island, Malaysia. 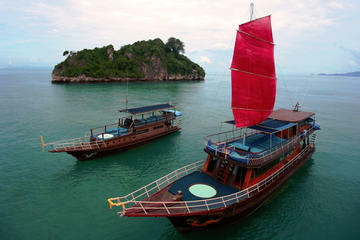 They are considered to be some of the most exquisite beach and dive destinations on Thailand's southern shores. You can find out more here. Khao Lak stretches across several scenic strips of sandy upper Andaman coastline. The region is particularly famous for its spectacular scenery of steep rain-forested ridges that extend down to the winding coast. An elephant trek to one of the waterfalls is a must. You can find out more here. Khao Sok is the largest and most dramatic tract of virgin rain forest in southern Thailand. The peaks rise to spectacular heights while the forest helps protect the population of elephants, bison, jungle cats, wild dogs and other endangered animals as well as bird species. You can find out more here. Khao Yai is the oldest park in Thailand. It's a mix of evergreen and deciduous tree forest with grasslands and scrub as its secondary growth. Endangered species such as elephants, tigers, leopards, white-handed gibbons and sambar stags, roam its interior including You can find out more here. Khao Sam Roi Yot is a small coastal park located on the narrowest part of the Thai peninsula overlooking the Gulf of Thailand. Its interior is home to animals such as monitor lizards and macaque while the wetlands provide a sanctuary for migratory birds from Siberia. You can find out more here. Doi Inthanon has the highest mountain peaks in Thailand. There are several types of fauna and flora, waterfalls and a wide range of animal life such as leopard, Pangolin and flying squirrels. There are also several bird species such as the hawk, eagle and Eurasian woodcock. You can find out more here. 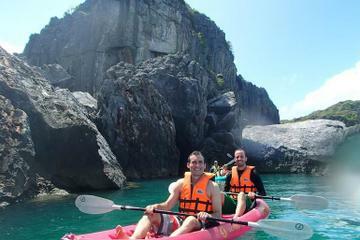 Khao Phra Taew National Park is located in Phuket. It is the island's last main outpost and primary evergreen rain forest. Within the park, there are several waterfalls and it's also a home to the Gibbon Rehabilitation Center. You will find out more here.